Australia suffers through the worst hay fever season. Hayfever sufferers, you aren’t imagining it. This spring has brought some of the highest pollen counts in years. In case you’re wondering how dire we are talking, here’s a little example. The Melbourne Pollen Count and Forecast classifies a ‘high’ day of pollen as 50 grass pollen grains per cubic metre. This past Friday, we reached 154 pollen grains per cubic metre. A sneeze-fest death-trap nightmare, basically. It’s all because of the rainy winter in Australia. Rain in winter = grassland growth in spring = crazy pollen counts in hayfever season. 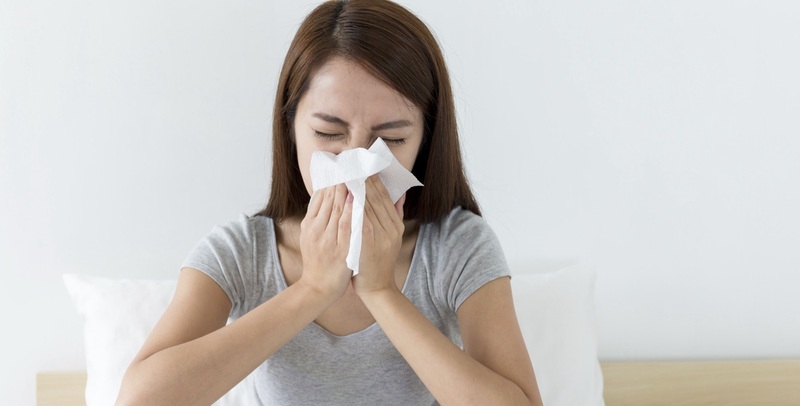 The good news is… no, there’s not much good news for hayfever sufferers. So let’s just call the ‘only way forward news’. The only way forward for the people with the itchy eyes and the crusty faces and the constant feeling of being mid-sneeze, is to a) get one of the handy apps for the daily pollen count to see if it’s worth leaving the house, and b) try salt therapy to relive your symptoms. There are a few handy apps for your smartphone that will tell you the chances of high sneezing each day. If you can’t find a specific pollen app that covers your area, some weather apps will have an inbuilt tab that does so. Find your favourite app or website, and check it every morning to see if… well, to see if you can just cancel your day, really. A pollen count of ‘extreme’ and over could mean a good ol’ day of Netflix and couch time. However, if you have to leave the house, that brings us to ‘b’. Try salt therapy as an addition to your hay fever management. Salt therapy involves sitting in a ‘salt cave’ room at the therapy centre (where there is ABSOLUTELY NO POLLEN! ), and breathing in the pharmaceutical grade salt that is pumped through the air. The natural properties of the salt help to clear the airways, decongest the lungs and nasal passages and may help relieve the symptoms of hay fever. It’s a win-win. And the best bit? Escaping the pollen-ridden air outside for 45 mins. Book in for a complimentary consultation at your closest Salts of the Earth centre and breathe better this spring!